A photo was rumored to be accidentally captured during traffic rush hour along EDSA. 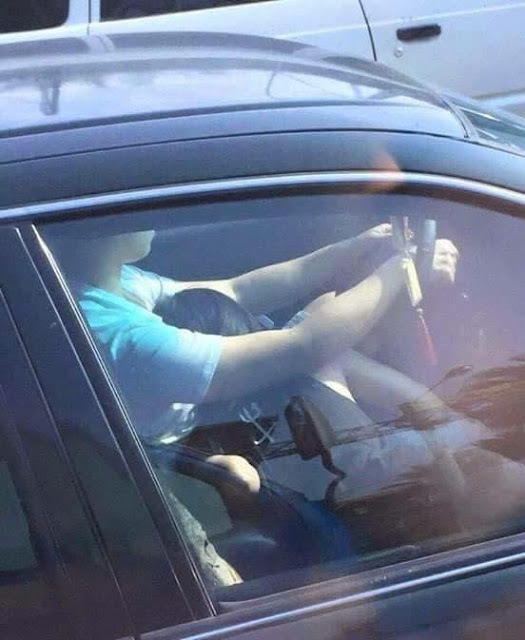 this picture of a man and a woman inside of a non tinted car had been making rounds over facebook and twitter. It is one of those photos that brings out the creative minds of the people on the internet. some are just malicious and stating their funny thinking about the real behind of this Photo. There is something in this photo that really caught the attention of the people on the internet.